This mixed camp for kids and teens in San Pancho, Riviera Nayarit, will include four weeks of intensive training in the purest European soccer style. 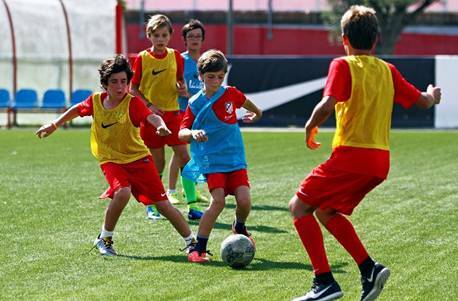 The Atlético de Madrid Summer Camp will take place from July 17 – August 11, 2017, in collaboration with San Pancho’s La Patrono Polo Club. This soccer camp will enhance the positioning of the Riviera Nayarit as a key destination in the sports arena. Spain’s premiere soccer club holds these camps every year in different destinations around the world—this is the first time they’re opening a Riviera Nayarit Campus with the polo field at La Patrona as the training ground. The camp is mixed and was created for kids and teens 6 to 18 years of age. Security, meals, medical assistance and transportation will be provided. The objectives are to facilitate the learning of soccer techniques and tactics according to the Atlético de Madrid’s methodology; educate participants on the importance of maintaining the club’s sportsmanship, hygiene and diet philosophies throughout the campus; transmit the values represented by the Atlético de Madrid; encourage the coexistence between kids of different ages who share a passion for soccer; and to have them participate in formative, fun and recreational activities related to soccer. Training will take place Monday through Friday from 8:30 a.m. to 5:30 p.m. Attendees can choose to participate for anywhere from one to four weeks: Week I is July 17-21; Week 2 is July 24-28; Week III from July 31 to August 4; and Week IV from August 7-11. 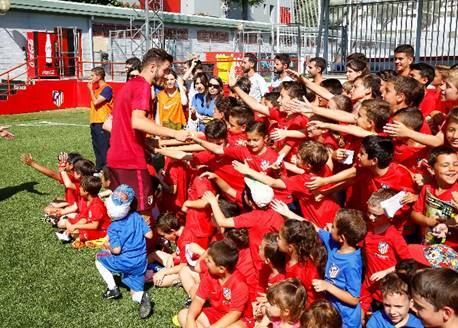 The activities include the Atlético de Madrid’s Official Sports Program with bilingual instruction by trainers who were flown in directly from Spain. Also included is the Atlético’s welcome kit, an Official Campus Certificate Diploma, an official Club Atlético jersey and other sports equipment such as training t-shirts, shorts, socks and chest guards. For more information and registration contact summercamp@laptronapoloclub.com; call 045 (322) 146 7714 or 01 (322) 297 2334 Ext 106; or visit www.lapatronapoloclub.com.